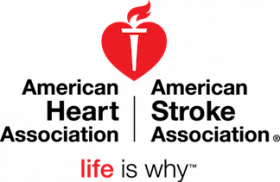 The American Heart Association is recruiting for a Development/Operations Specialist to provide administrative and logistical support in the Long Island market of our Founders Affiliate. Responsible for facility and operational functions of the office. In this role, you will be based in our Plainview, NY office and will report to the Regional VP for Long Island. You will support the RVP as well as one to two fundraising directors. Must have earned a high school diploma or GED. College degree or some college preferred. must be willing to work outside of standard hours including some evenings and weekends. Education: Related experience may be substituted as follows: 1 ½ years experience equates to 1 full time year of higher education. Experience: At least 2 years of experience in administrative support that includes experience supporting multiple directors and/or supporting fundraising events is highly desirable. This experience may also count towards satisfying this position’s educational requirement.